If only I could see the complete picture! If only I could save time raising renewal invoices! How can I automate the entire events process? I need to demonstrate the value we deliver! I want to quickly send email campaigns to specific segments! Identify user preferences, needs and requirements in order to deliver tailored content driving upsell and conversion opportunities. Imagine if I could deliver topical resources to members! Experience ease of use and improve the efficiency of your association, NFP or member-based organisation by employing a single "end to end" cloud based member management system to do it all. 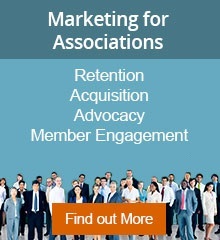 Member Evolution is the complete online member community and association management system. Our Cloud based Association and Member Management software streamlines administrative processes to improve efficiency, increase the member value proposition and engagement, build new revenue channels, and increase communication channels across your member base.